This has been my favorite desert lately when I’m craving something sweet but dont want to indulge on junk food. This is simply just greek yogurt mixed with a spoonful of Vega Vanilla protein powder and some homemade cinnamon spice granola on top. The protein powder thickens up the greek yogurt, and depending on how much you add, can even turn this into a cookie dough texture! I really reccomend Vega protein powder because the taste is really sweet and vanilla-y but isnt made with a bunch of sugar. I would think this woukd work just as well with any other protein powder too (or flavor)! 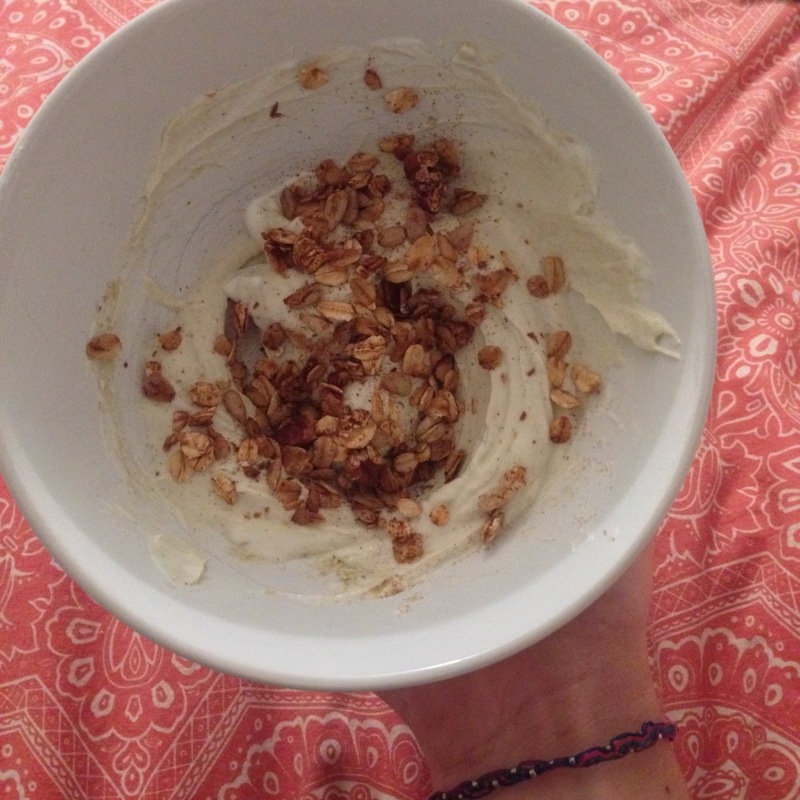 This tasted like vanilla-cinnamon cookie dough, and the granola gave it a yummy crunch!